Arranging a bedroom in the attic is not an easy task. Taking into account design of the building, roof pitch and height of L-shaped walls, this undertaking requires an individual approach to each project. When equipping this room you should take into consideration all elements having impact on effective relaxation. One of them is the right colour selection. Colours that have a positive effect on your well-being include blue, green and a wide range of pastels. 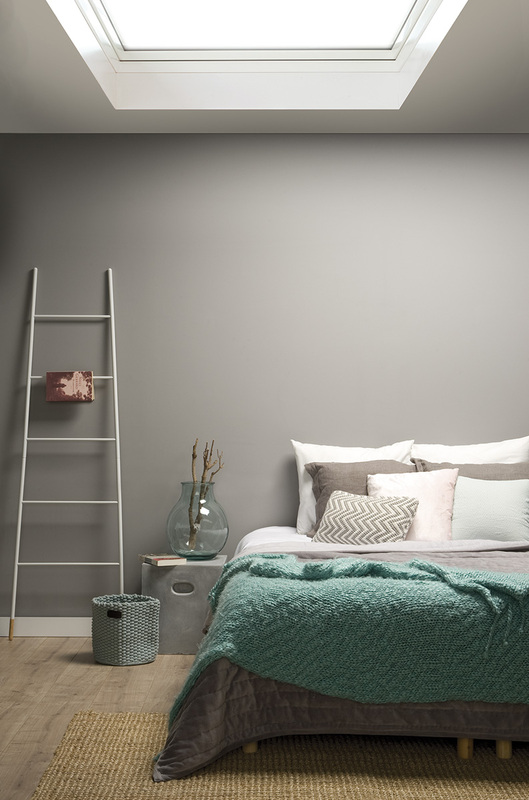 The shades of grey and white will also work well as they optically enlarge the space in small bedroom. Avoid bright, strong colours which with their irritating effects may make it difficult to fall asleep. The main element of each bedroom is bed which should be placed in the centre of the room. To save space, you can place it under the sloping wall, but remember to keep the appropriate distance to allow comfortable approach to the edge of the bed. In order to create friendly and comfortable interior do not forget about accessories that will make the bedroom take individual character. A modern style bedroom where high quantit es of natural light and white colour make the interior optically enlarged. Bright and friendly room gets a character thanks to using graphite wall and dark,wooden floor. Small bedrooms under the roof can be optically enlarged by ensuring ingress of natural light and using white colour over the entire length of the walls. Additional action can be placing large mirror which gives depth to the interior. 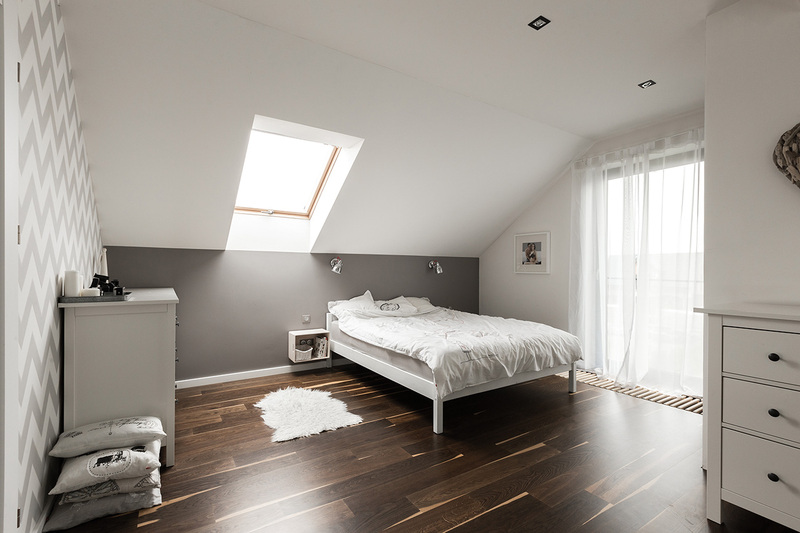 Arranging a bedroom under the flat roof is no different from the same process carried out on the ground floor. FAKRO flat roof windows are excellent option to be applied in this case. Grey walls give the mysterious climate which is ideal for this room. 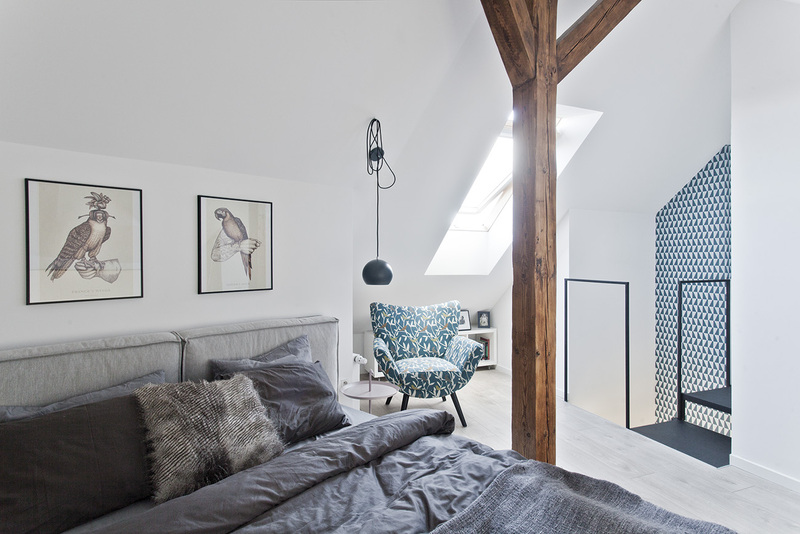 Bedroom in the attic does not have to be small. Having large room, you can easily put a marriage bed in its central part. Sloping roofs and structural beams associated with the roof structure will provide the interior with an exceptional climate.